owned by an interior design studio in Bangkok. making it a charming place to be. Ratchathewi BTS station and Phaya Thai BTS/Airport Rail Link station. 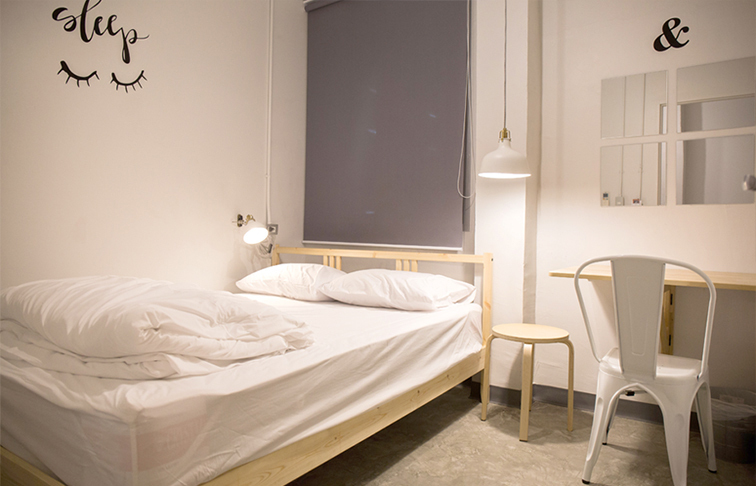 MovyLodge is nested in a quiet neighborhood of Ratchathewi junction. room and of course the main lobby with coffee shop and internet zone. All our friendly staff speak English and are ready to assist you. We’ll be looking forward to seeing you! 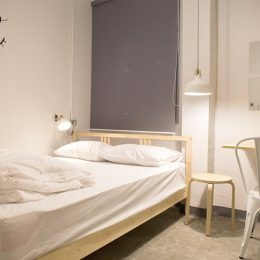 MovyLodge is a new and hip hostel project designed and owned by an interior design studio in Bangkok. 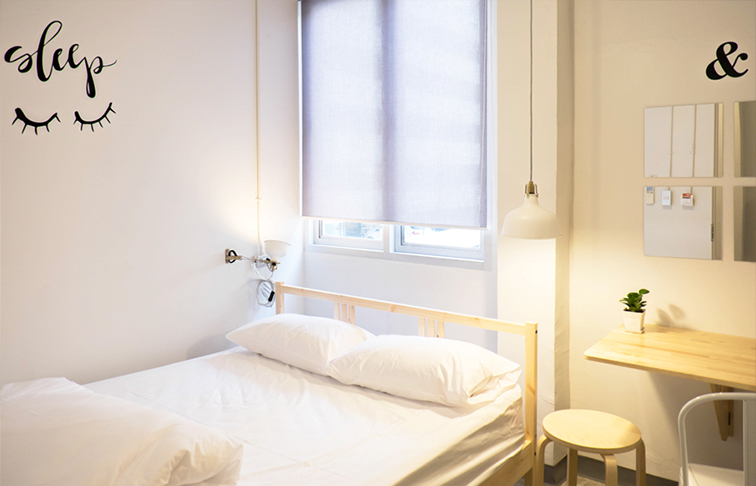 The design embodies the needs of our visitors: bright, simple, clean and cozy. 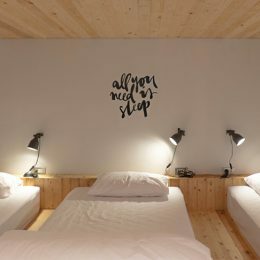 White and natural wood is the main theme throughout the space, making it a charming place to be. MovyLodge is strategically located in the center of Bangkok, making it very convenient for our guests. 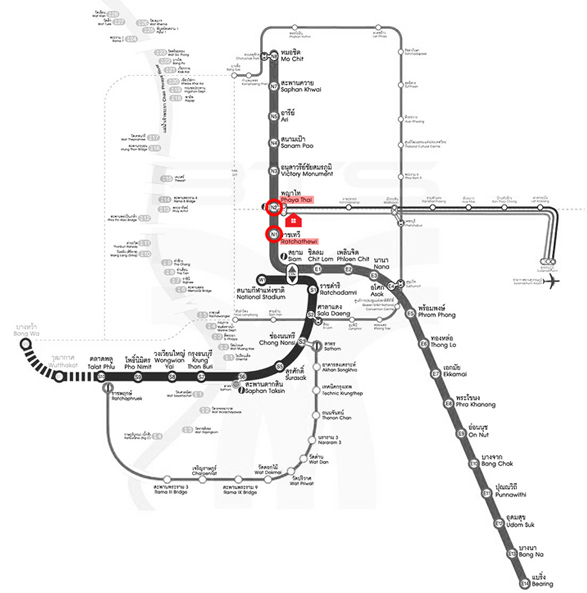 We are within short walking distance from both Ratchathewi BTS station and Phaya Thai BTS/Airport Rail Link station. 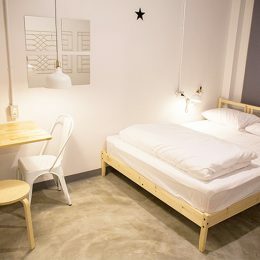 We are also within walking distance to the main shopping district of Siam Square, Siam Paragon and MBK. Despite the extremely convenient location, MovyLodge is nested in a quiet neighborhood of Ratchathewi junction. 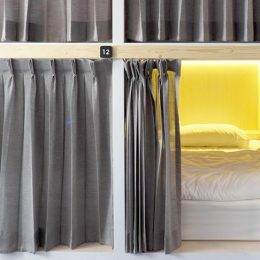 MovyLodge provides 3 types of rooms: capsule type, bunk bed type and studio type. 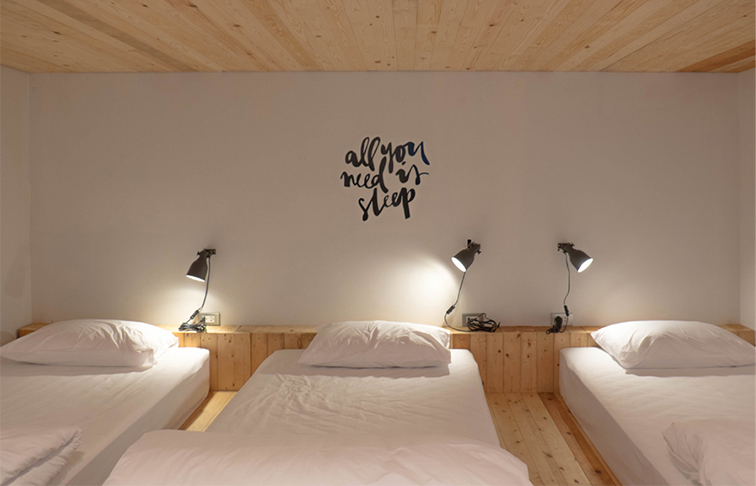 We offer super-fast 50MB WIFI all over the hostel, personal locker/shoe locker, curtain for privacy, bathrooms on every floor, 24-hour CCTV and security keycard. Our remarkably spacious common areas include separate mezzanine TV lounge, pantry, outdoor space, laundry room and of course the main lobby with coffee shop and internet zone. All our friendly staff speak English and are ready to assist you. We’ll be looking forward to seeing you! 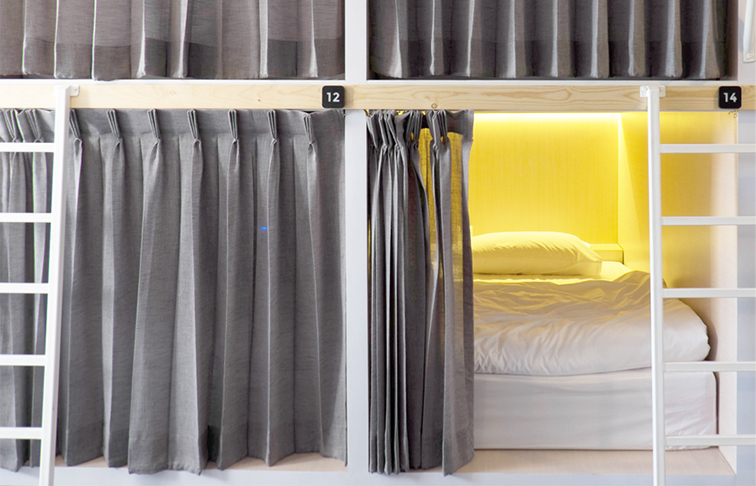 safe and convenient stay with a touch of style. areas and all the convenient amenities provided just for you! 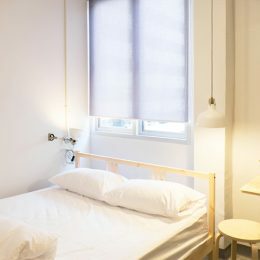 MovyLodge’s first priority is to provide our guests with a cozy, clean, safe and convenient stay with a touch of style. Please feel safe at home with our 24-hour receptionist, CCTV and keycard access doors. Also don’t forget to enjoy our spacious common areas and all the convenient amenities provided just for you! MovyLodge is strategically located in the center of Bangkok. 5 minutes’ walk from Phaya Thai BTS/Airport Rail Link station. central bus terminal heading to all over the country. shopping district of Siam Square, Siam Paragon and MBK. MovyLodge is strategically located in the center of Bangkok. 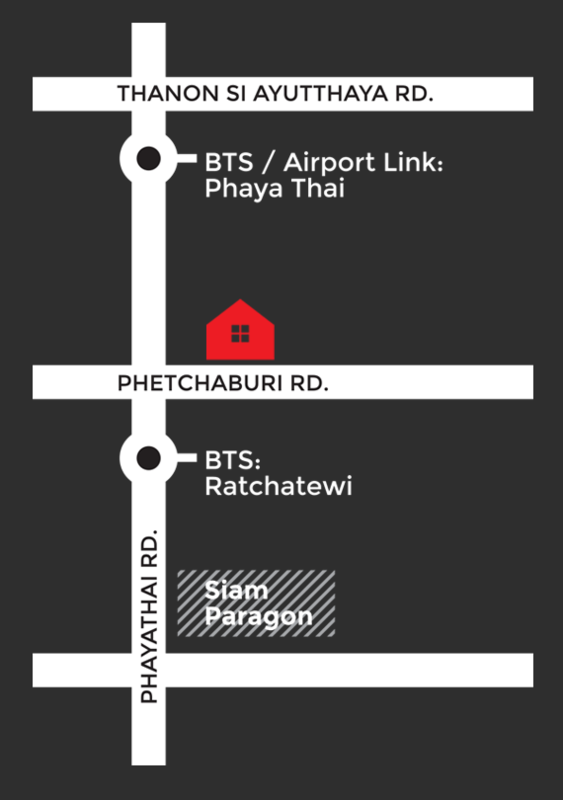 We are only 2 minutes’ walk from Ratchathewi BTS station and 5 minutes’ walk from Phaya Thai BTS/Airport Rail Link station. We are also only one BTS stop away to Victory Monument which is the central bus terminal heading to all over the country. 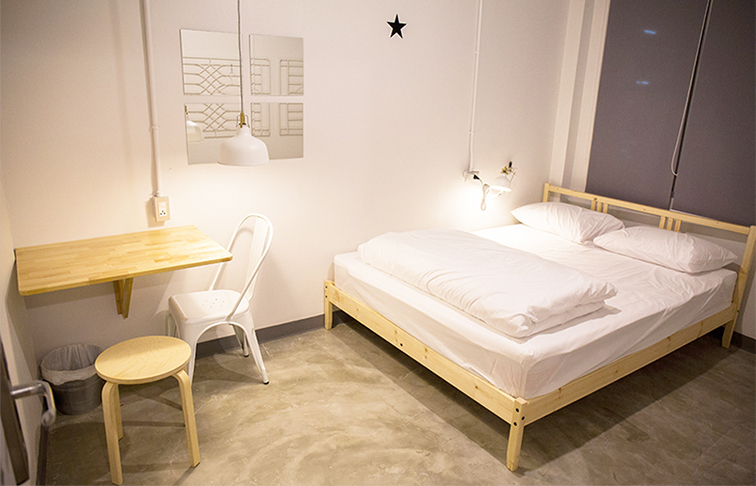 In addition, MovyLodge is within walking distance to the main shopping district of Siam Square, Siam Paragon and MBK. right, walk 75 meters and we are there. Ratchathewi BTS station: Get out from exit 4. Head north on Phaya Thai road 150 meters.